For months now, both Manchester United and Arsenal have been touted as potential landing spots for Lille winger Nicolas Pépé. The Ivory Coast international has taken Ligue 1 by storm since moving from Angers in the summer, most recently scoring the second and assisting the fourth and fifth in a 5-1 rout against Paris Saint-Germain on Sunday, taking his tally to 19 goals and 13 assists in 32 league appearances. This will have probably added a few millions to his price tag, as Pépé is expected to leave in the summer when important clubs come knocking. 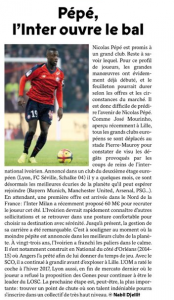 In fact, France Football on Monday claim that Inter have got the ball rolling, approaching Lille with a €60m offer for the Ivorian, which, if true, will have set the bar for an impending bidding war. 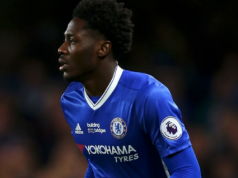 Once linked with clubs such as Lyon and Schalke 04, the magazine believe the forward can now ‘hope to join’ clubs of Manchester United’s and Arsenal’s stature instead, alongside other suitors in Bayern Munich and Paris Saint-Germain. Earlier on in the day, it was reported by RMC Sport the Ligue 1 champions were closely following their most recent torturer ahead of the summer. As has been pointed out hundreds of times by the press over the course of the season, Manchester United are in dire need of bolstering on the wings, and their interest in Pépé really isn’t a surprise. The same applies to Arsenal, who, alongside the Red Devils, are also said to be following players such as Steven Bergwijn. Pépé would certainly cost more than the Dutchman, but would also require less polishing. Everything comes at a price, and 19 goals and 13 assists in 32 games won’t be cheap.